Travel Wyoming – Open Skies, Canyons, Waterfalls, “That’s WY”! - Sari Colt on 三月 11, 2016. The Wyoming Office of Tourism hosted a reception at Archeo restaurant to introduce their new campaign entitled “That’s WY“. Wyoming, also known as the Cowboy State, has so much to offer and one can enjoy the beautiful natural surroundings of open skies, canyons, waterfalls and rivers. Popular activities that visitors can try are horseback riding, hiking, mountain climbing, fishing, skiing and ranching. There are bison, cattle and dude ranches throughout the state that can be visited and one can enjoy the fun of being (or pretending to be) a cowboy for the day. 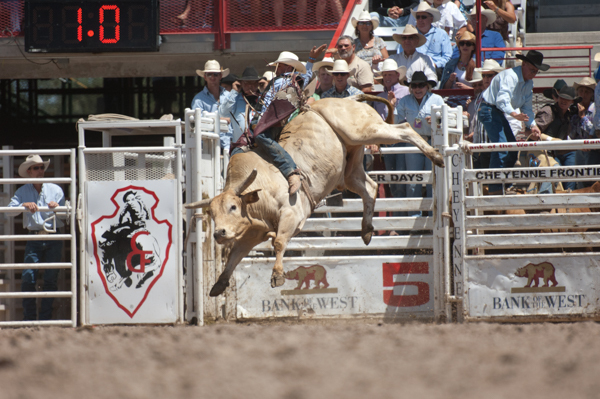 One of the most popular events is the Cheyenne Frontier Days which has been held annually since 1987 and is one of the largest rodeo and western festivals in the world, bringing in over 200,00 people to the area. 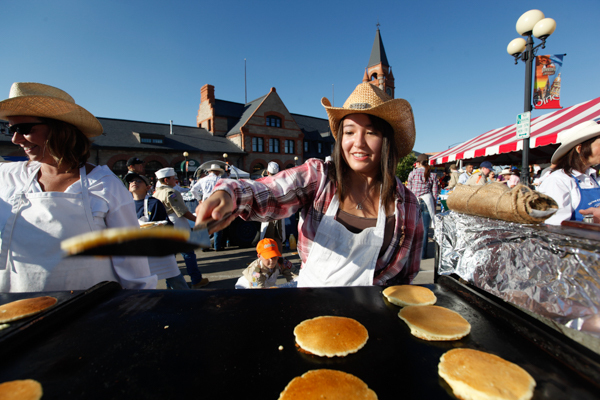 At the festival, one can indulge in pancake breakfasts, watch the Grande Parade, shop at the Indian Village, cheer at the PRCA Rodeo, and much more! 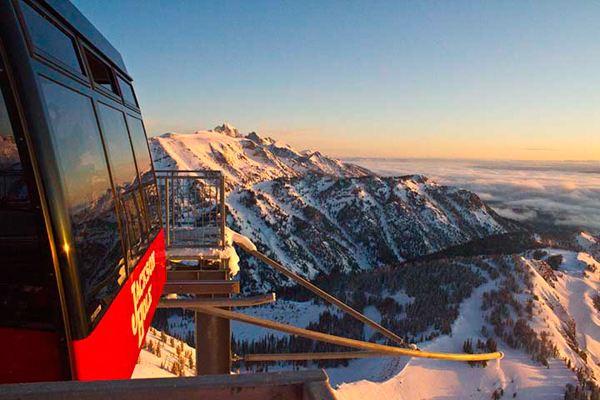 For those interested in nature, Jackson Hole is a great place for fantastic skiing and hiking. Yellowstone National Park covers 3,500-square miles and sits atop a volcanic hot spot. The Grand Prismatic Spring (the largest hot spring in the United States and the third largest hot spring in the world) and the famous geyser “Old Faithful” are found in the park. Getting to Wyoming is relatively easy. From Toronto, one can fly direct to Denver and either fly or drive 1 1/2 hours to Cheyenne. To get a taste of Wyoming, the reception served Wyoming inspired cuisine including: braised lamb meatballs with tomato sauce, mini panini sandwiches with cherry tomato confit, smoked provolone and arugula pesto, tomato bruschetta crostini with aged sheep’s milk cheese, mini bison burgers topped with double smoked bacon, aged cheddar and roasted jalapeno ketchup, beef tenderloin carpaccio with shaved Reggio, pickled honey mushroom and arugula and charcuterie with bocconcini, grilled and marinated zucchini, portobello mushrooms, bell peppers, grilled asparagus and Bermuda onions. We also had the pleasure to try artisan chocolates made by cowboy chocolatier Tim Kellogg that were infused with huckleberry, sage, Wyoming whiskey and sarsaparilla. All were very delicious. Tim first sold chocolates to raise funds for a new bronc saddle and turned out to be a successful chocolatier creating decadent desserts at Meeteetse Chocolatier in Wyoming‘s Big Horn Mountain Basin. Wyoming offers a chance to experience one’s personal adventure and feel the untamed spirit of the west.